07 JunNational Ice Cream Day! 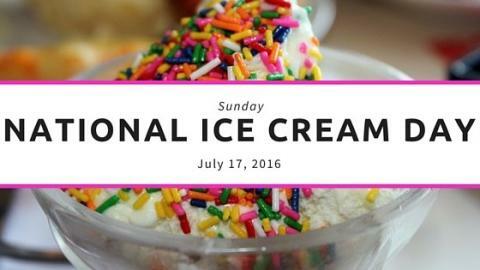 National Ice Cream Day is celebrated each year on the 3rd Sunday in July and is a part of National Ice Cream Month. This day is a fun celebration enjoyed with a bowl, cup or cone filled with your favorite flavor of ice cream. In 1984, President Ronald Reagan proclaimed July as National Ice Cream Month and established National Ice Cream Day as the third Sunday in the month of July. Enjoy National Ice Cream Day by sharing some with your family and friends! Post on social media using #NationalIceCreamDay and encourage others to do the same.